This sounds phenomenal! My 3 year old wants pasta pretty much all the time, so great to have a new recipe to add to the arsenal! I found this recipe very tempting that was much contributed by the fact that I am more fond of vegetarian food and this recipe emphasizes on using the vegetarian sausages. 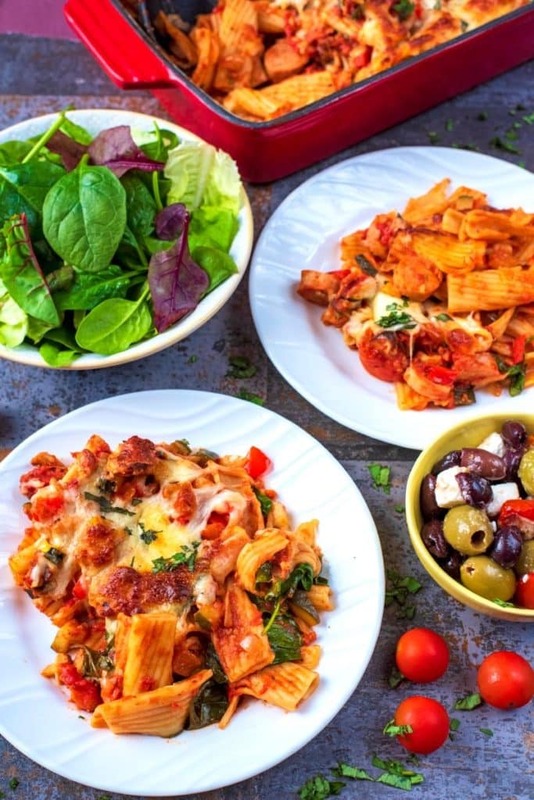 Corrie Duffy loved the recipe as it is with a minor addition of half and half in the sauce which enhanced the overall deliciousness of this sausage pasta bake. I love the mushrooms and this is bursting with delicious flavors every one will love here. 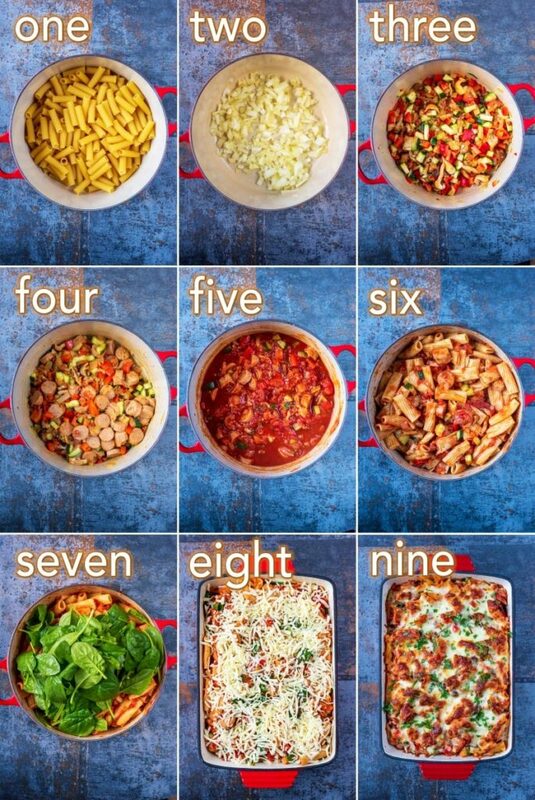 We eat pasta like 3 times a week so this is perfect! This is exactly my kind of dinner, comforting and full of flavour! I’m desperately in need of comfort food like this at the moment! Such a great way to get lots of veggies in as well. Pinning this for later! I’ve been looking for more freezer type meals so this is perfect! Love the ease of prepping it ahead of time to pull out on a busy weeknight! Fabulous pasta dish! my entire family will love this. I like that this sausage pasta bake is so full of vegetables. Looks delicious! 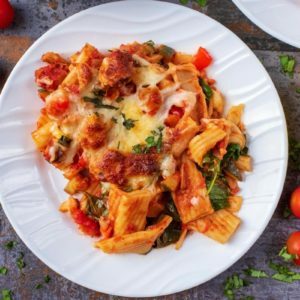 My family would love this sausage pasta bake for dinner! I love how easy it is to make. 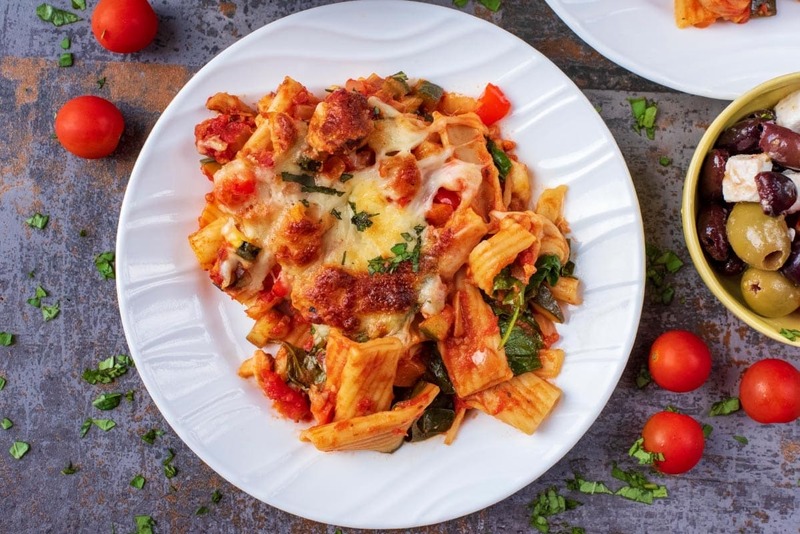 Baked pasta dishes are pure comfort food around our house!! I love that you can use vegetarian sausage or a meaty sausage – and of course all that cheese! This is comfort food at its best! 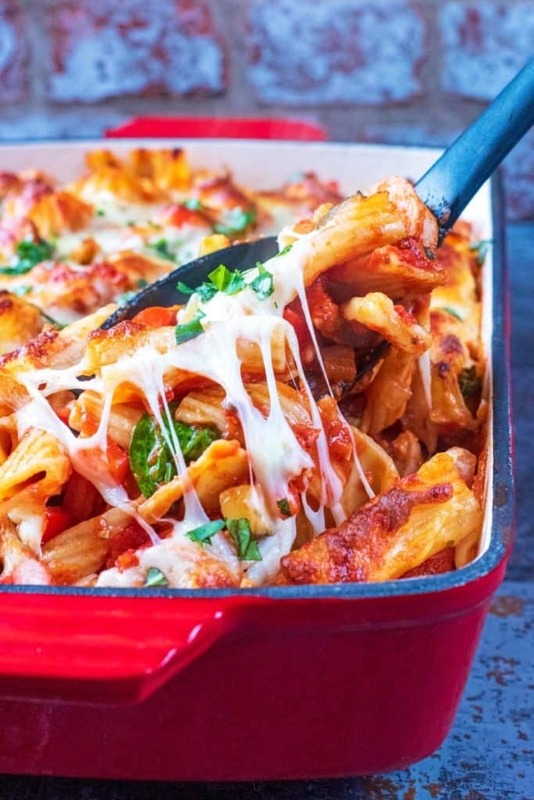 We love a pasta bake and this looks like the perfect warmer for winter. Pasta bakes are delicious and perfect for winter! Your version is delicious. This looks so tasty and I know my family would love this dish! Definitely need to try! Sausage in pasta dishes is wonderful! We have lots of sausage based pasta recipes here in Italy! Yours looks really good. I love all the veggies in there! 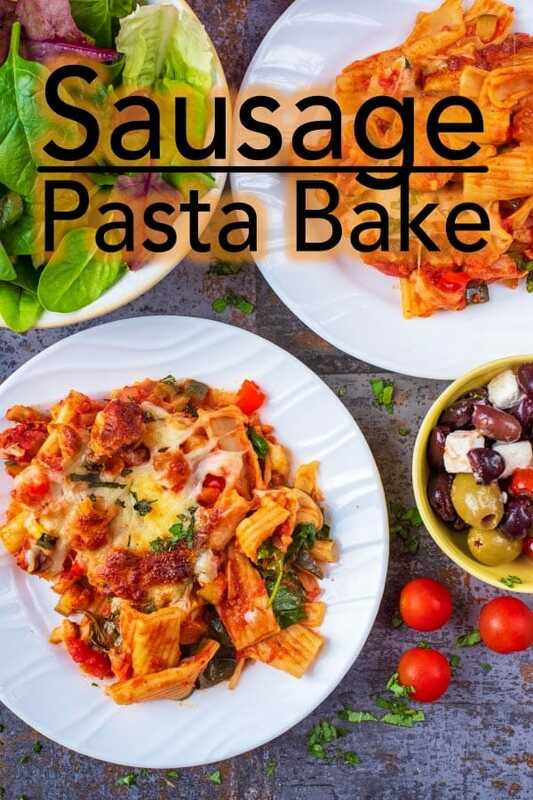 We are big pasta bake fans in our house and love sausages too so this sounds like the perfect dish for us. A great weeknight dinner option, I will definitely be giving this a try. 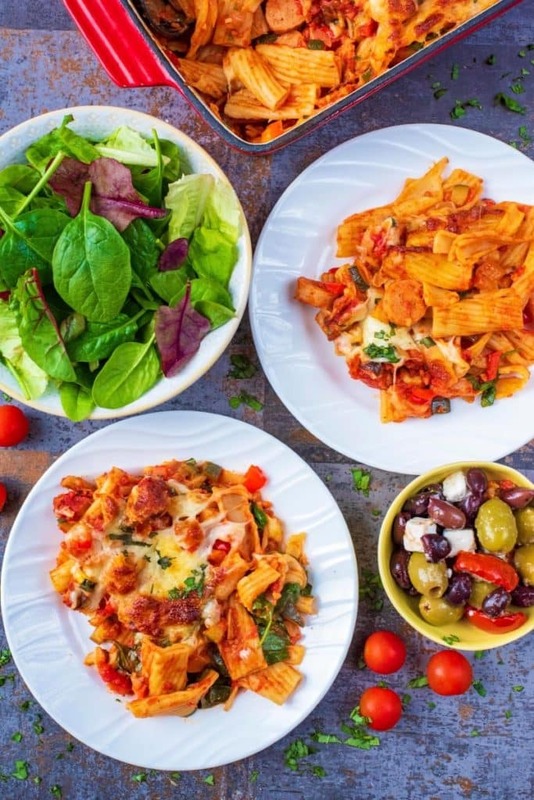 I love a good pasta bake, super easy and always delicious. This one sounds so delicious! I think this is a brilliant way to serve sausages! I love them in a pasta dish and that cheese on top looks so inviting too. This was easy to make and tasted good. Made this for friends and it got rave reviews all around.